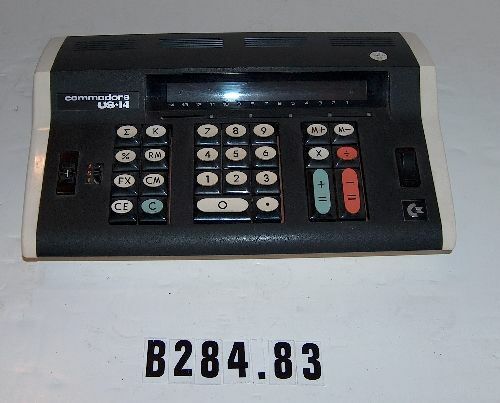 Other number B284.83 B284.83 is written on a 1/2-inch diameter white adhesive tag on the top of the object. 3 1/4 x 11 3/4 x 8 1/2 in. 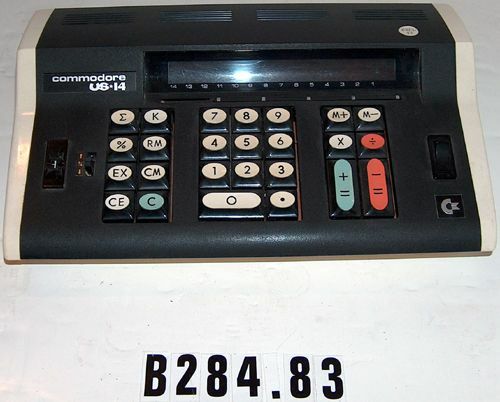 The object consists of an electronic calculator with a three-pin socket for a line cord on the back.